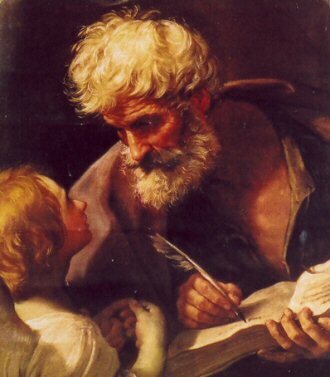 Thank you for giving me this opportunity to provide the latest details from the inner circle of followers of Jesus of Nazareth, whom we call “the Master.” I have become very disillusioned with Him after His selection of the Galilean, Simon, as His chief of staff, but I am not without hope, thin as it now is. Judea is the cosmopolitan center of our race. I don't mean to boast, but as the only Judean among them (the rest of our Twelve being rough and unsophisticated back-country Galileans), I understand the nuances necessary to advise the Master in finding common ground with the chief priests like you, the Pharisees, the Sadducees — and even the Herodians. The Master is occasionally prone to taking bad advice. After John (called the “Baptist”) got on the wrong side of Herod and lost his head, the Master continued with John's “brood of vipers” sound bite. That’s not very wise, we can all agree, and a good handler would have prevented the gaffe. Why not something positive like, “Hope and change?” An ounce of honey and all that. Well before the Master became a widespread sensation, He called us to be His special followers. The day He called Simon from his boat at the direction of the Master, they caught so many fish the nets were bursting. The story goes that Simon’s response was honest (as we have all come to see), but damning. Silly man that he is, he exclaimed, “Depart from me for I am a sinful man.” The display must have been laughable, and I smirk when I think about it. A job resume for high office is useless without self-confidence. Forgive me for being so direct, but Simon doesn’t have the smarts or the sophistication to be the Master’s main man. Pilate will not be impressed. Never admit weakness. It’s a lesson the Master has yet to appreciate, but I’m willing to give Him time. About a week ago on the plains near the sea, you may have already heard, the Master performed an extraordinary feat. Like Moses, the Master literally invoked the power of God to multiply a couple of loaves and fishes to feed a massive crowd. Believe me, the story is true. Please do not underestimate the importance of the event. With this kind of power at our disposal, we will not only have the capacity to feed our people without Roman interference, we will be able to feed our armies as well. I think it’s within the realm of possibility that even Roman centurions will join us to throw off the yoke of Caesar. But just the other day the Master went way too far. He changed the name of Simon to “Peter,” or “the Rock.” And the Master said He’d build His “church” (“an assembly” — does He mean “holy army”?) on Peter and even promised that the gates of hell would not prevail over it. If He's talking about the Romans, He'll need more than the hapless Simon to be His rock. The Romans are quite capable of giving us “hell” if Pilate gets a clumsy and a pesky Galilean bee in his bonnet. The other day we were horrified to hear that the Master planned to march into Jerusalem and die at your hands. Even more bizarre was His commandment that His followers must “take up the cross” and even lose their lives for His sake. This makes absolutely no sense. Maybe it was the heat. In any case, He must be persuaded we are His friends. We all know that a man with the power to multiply loaves and fishes in the style of Elijah is just the kind of messiah we’ve been waiting for. The Master continues to need good counsel from men who know the ways of the world — and those of the inner circle of the temple. In the meantime collections have been great after the multiplication of loaves, and we are — well, I am — traveling in comfort. Next time I’m in town let's get together for lunch at that new restaurant near the temple, “Harrods” (My compliments to the proprietor. I like the play on words.) It’s very expensive and elegant but worth it. The garum castimoniale is out of this world. My treat. Bring a few friends if you wish. We have much to discuss.